Join tomorrow sir sm imran at north nazimabad for getting perfect and higher band. Our students r still on the top". 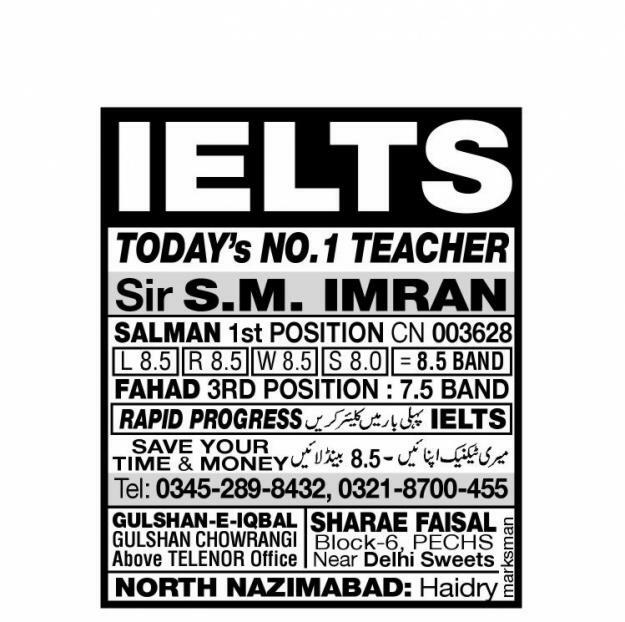 IELTS karachi pakistan.